During my coaching season I took the time to create tools that would hopefully give the team the edge over other teams. One of these tools was an online field walking system, which allows the team to run around the field like a first person shooter game and find the best shooting lanes and blind spots whilst drilling the map into their heads to ensure that when they arrived at the event they didn’t lose the first few games working out the best way to play the field. It wasn’t perfect but it did the job. It was my first attempt at any kind of 3D modelling though so there were perks to trying it out. 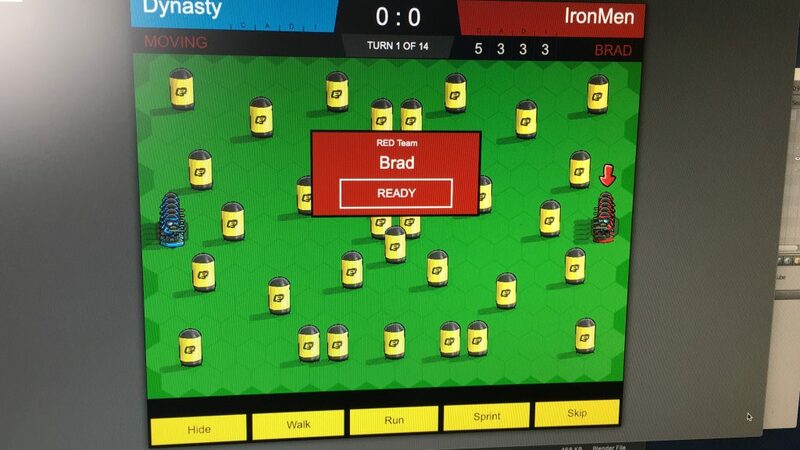 Whilst creating this I started to consider the option of creating a console game for the sport. There have been a few made in the past and they have been enjoyed by paintballers for years. The only issue I had with these games was that they were not very inviting to people who don’t play the sport. In my opinion, this is what the sport needs to grow in popularity. Currently the only way into the sport is to play rec-ball (which is the paintball everyone knows about – where you run around in the woods and be rambo for the day) or through word of mouth from current players. The amount of people that take financial leap of faith into the sport from rec-ball is very slim. I am one of those players though so it worked for me as I had a strong unit of friends who also took the leap after exhausting rec-ball by reaching a level that made it less challenging to play. It’s also a very expensive game to play. One of the perks you get for entering the Scenario or Tournament scene is the cost to play becomes cheaper. The cost to get in with your own gear, however, is exceptionally expensive, which again, doesn’t help. A basic first draft helped me lock down the turn based engine. The completed game was fantastic fun to play! 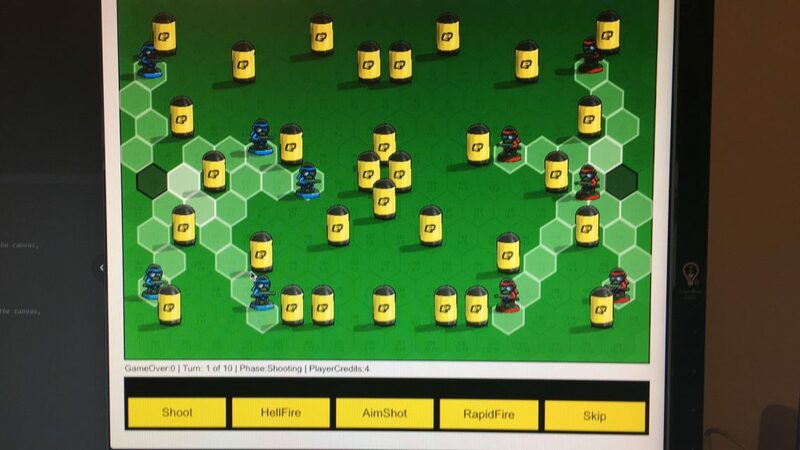 I don’t know whether a turn based paintball game had ever been created before. I had done no previous research, I just had a plan and went with it. I was very happy with the results though. It was on completion of this game that I realised that this game would be better suited as a board game. 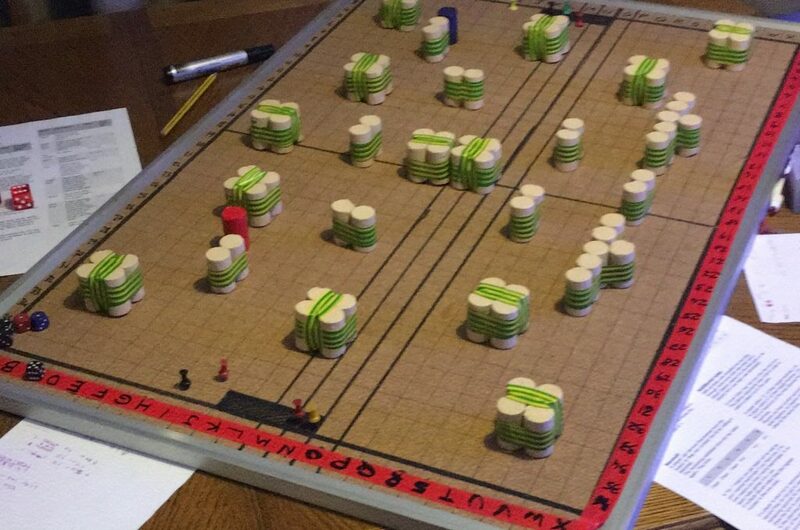 So being the creator of this game I knew all of the numbers and maths behind the game, so whipped a notice board off the wall and ran out to my local Wilko to grab a bag of corks and some duct tape in an attempt to bring this digital concept to life on the tabletop.